Kenneth Cole Watches Review – Are They Any Good? Hey everyone, today I’m taking a look at the popular designer brand Kenneth Cole. They’re an American fashion brand that’s based in New York. They were established back in by the eponymous designer back in 1982. Whilst they originally focused on designer shoes, they soon began expanding into other fashion related products with the launch of their watches in 1996. 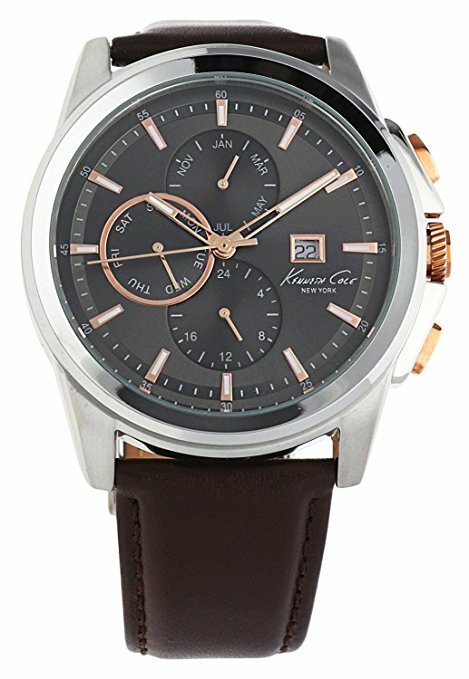 Are Kenneth Cole Watches Any Good? 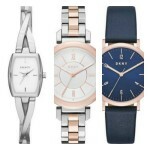 So are Kenneth Cole watches actually any good? Luckily I actually got two in my personal collection of affordable watches. One being a skeleton style automatic and the other a more traditional dress watch. From my experience, I’ve actually been very happy with them. As is with designer brands you’re often paying a little towards the brand name, imagine Armani and Hugo Boss watches for instance. That being said, I feel Kenneth Cole watches do offer value for money for those of us out there who are looking for affordable yet well designed stylish timepieces. 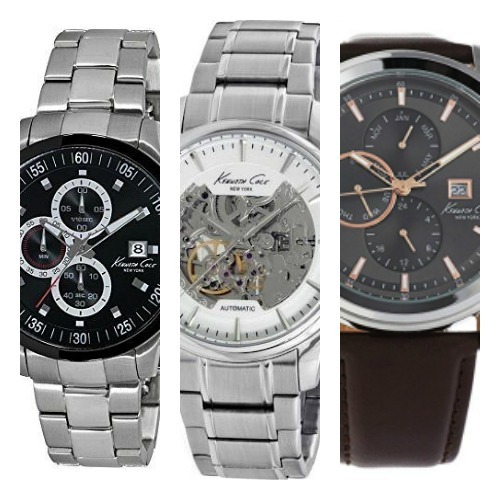 Below I’ve decided to feature 5 popular Kenneth Cole watches to give you an idea of what the brand is like and the type of watches and styles they have available. Obviously, 5 is a very small sample from a brand that has such a huge selection available. 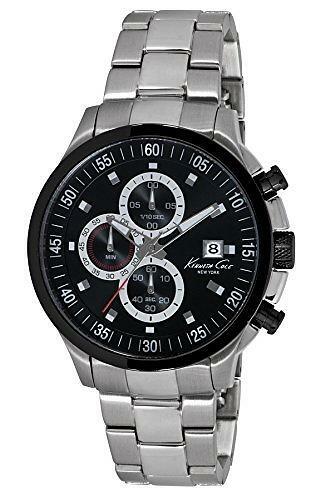 If you have any questions about any of the Kenneth Cole watches featured in this review just comment at the end and I’ll try and assist you as best I can. First up on our list of some of the top Kenneth Cole watches for men is this popular leather strap edition. This model has a stainless steel 40mm casing that has a thickness of 10mm. The strap comes in a brown genuine leather and fastens with a buckle style clasp. The dial has a nice and easy to read design with rose gold tinted hands and hour markers. There are 3 sub dials that display the day, month, and a 24 hour dial. Plus there’s a small date display at the 3 o’clock position. 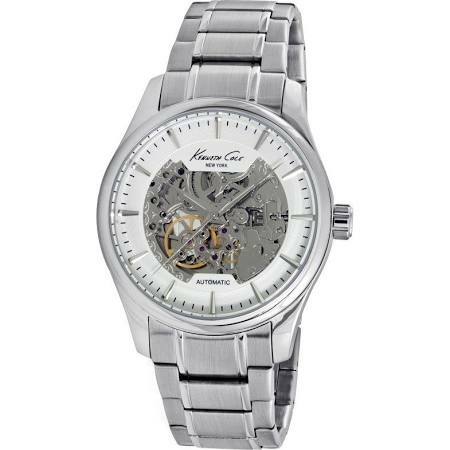 Powering this men’s Kenneth Cole watch is a reliable and accurate quartz movement. The mineral crystal glass has been specially hardened to offer a good level of protection from scratches and shattering too. This watch also has a 30m water resistance rating which is good to see. You can read my full KC10025916 Kenneth Cole watches review here soon. Up next we have another popular Kenneth Cole chronograph watch. This model has a large 45mm stainless steel casing that has a 12mm thickness. The strap is also made of stainless steel and fastens with a fold over style clasp. It features a chronograph style dial with a 60 second, 60 minute, and 1/10th of a second sub dials. There’s also a useful date display at the 3 o’clock position. This men’s Kenneth Cole watch is powered by a quartz movement for reliable and accurate timekeeping. A mineral crystal glass gives you a good level of scratch and shatter resistance which is useful. This watch also has a basic 30m water resistance rating. You can read my full KC9384 Kenneth Cole watch review here soon. Here we have a nice and affordable watch from Kenneth Cole. This timepiece has a 42mm stainless steel casing that has a slim 10mm thickness. The strap is also made of stainless steel and fastens with a push release fold over style clasp. The dial has a pretty easy to read simple design to it with a mixture of large numeral and baton style hour markers. The rose gold plated tinted makes them stand out nicely against the silver coloured background. There’s also a handy date display at the 3 o’clock position. At the heart of this watch is a quartz movement for both accurate and reliable timekeeping as is common with these types of movements. Protecting the front of the watch is a mineral crystal glass that gives you a good level of scratch and shatter resistance. You can read my full KC9393 Kenneth Cole watches review here soon. 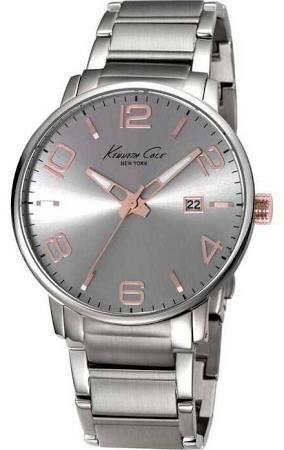 In at number 4 we have this stunning automatic watch by Kenneth Cole. 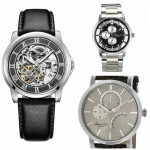 This skeleton watch has a large 42mm stainless steel casing with a thickness of 12mm. The strap is made of stainless steel and fastens with a double push release fold over clasp. I love this dial design with such a large amount of the inner workings of the watch being on show. They’ve used silver style baton hour markers which I think work well against the white outer rim. I am a little concerned about the silver coloured hands not being too easy to read against the silver colour of the mechanism though. That being said my own Kenneth Cole skeleton watch has a similar design and I don’t actually have any issue with it. Powering this watch is an automatic movement as can be seen through the dial. Self-winding automatic movements are popular as they never require a battery due to the fact they charge themselves from the movement of your arm. You can actually see this movement working away through the rear exhibition caseback too which happens to be one of my favourite featured. A mineral crystal glass protects both the front and back of the watch from scratches and shattering. It also comes with a basic water resistance rating. You can read my full KC10027200 Kenneth Cole watches review here soon. 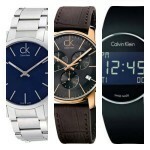 Last up on today’s look at some of the best Kenneth Cole watches for men is this rather smart looking timepiece. It features a 39mm stainless steel casing with this rose gold PVD plated bezel and pushers and crown. The strap is made of stainless steel and fastens with a fold over push release clasp. I quite like this chronograph dial design with these bold baton style hour markers that stand out really well against the black hand. Overall I’d say the mixture of rose gold detailings for the hands etc against a black background is often a great choice. 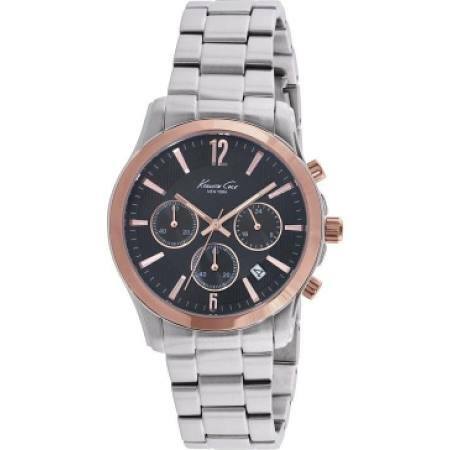 Powering this Kenneth Cole watch is a quartz chronograph movement for reliable and accurate timekeeping. A mineral crystal glass protects from shattering and scratches. Like the previous models, this timepiece also has a 30m water resistance rating. You can read my full KC10021829 Kenneth Cole watches review here soon. Thanks for taking the time today to read through this Kenneth Cole watches review. What was your favourite model on the list above? Comment below and let me know.